9.0 psi RVP gasoline is required at the retail level from June 1-September 15. Renewable fuels produced from renewable feedstocks, such as ethanol, hydrogen, biodiesel, and biofuel, may qualify for an income tax credit equal to $0.20 per 76,000 British thermal units (BTUs) of renewable fuels sold for distribution in Hawaii. The facility must produce at least 15 billion BTUs of its nameplate capacity annually to receive the tax credit and may claim the tax credit for up to five years, not to exceed $3,000,000 per calendar year. Qualifying renewable fuel production facilities must provide written notification of their intent to produce renewable fuels before becoming eligible for the tax credit. Producers must file a statement with the Department of Business, Economic Development, and Tourism within 30 days following the close of the calendar year. 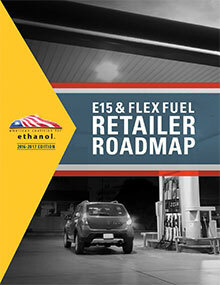 The statement must provide information on fuels produced and sold during the previous calendar year, the feedstock used for each qualified fuel, the proposed income tax credit amount for each calendar year, the cumulative tax credit amount received during the current calendar year, the number of full- and part-time employees, and the number and location of all renewable fuel production facilities within and outside of the state. Vehicles identified as top performers for fuel economy in the U.S. Environmental Protection Agency's annual "Fuel Economy Leaders" report.